When should your relative with dementia no longer be left alone? There are no easy answers, and the signs are not always clear. Many people with earlier-stage dementia can manage well in their homes with little or no support. As time passes, and dementia affects judgment and decision-making , they will need more support and assistance to keep them safe. Eventually your relative will not be safe alone. It’s vital to continually assess safety risks. Consider the following as you make decisions about the safety of your relative. In our experience, these eight red flags can help you determine when your relative may not be safe alone anymore. Red flag #1: Handling alcohol. It is imperative to monitor alcohol. People with memory loss may not be able to accurately monitor how much they drink. Alcohol can also increase the risk of falling. On the other hand, a cocktail or glass of wine with dinner may be a longstanding habit that brings pleasure to your relative. You may want to ask your relative’s physician about the appropriate amount of alcohol that is safe. Red flag #2: Managing medications. As memory and judgment gradually worsen, taking medications accurately can become difficult and eventually impossible for people with dementia. Ask her doctor if her medications can be simplified. Can some be eliminated? Or changed to once a day? If swallowing pills becomes difficult, are any of the medications available in a different form? A patch or a liquid may be easier. For people with mild dementia, an automated medication dispenser may be effective. Red flag #3: Misusing household toxins. Pay attention to household cleaners that could be used inappropriately. When Mr. Carter washed his hair with mouthwash, his daughter realized that he no longer understood what the various bottles around the house were. If you see your relative becoming mixed up about bottles, cleansers, etc., sort them out and lock up anything toxic, e.g., paint thinner, bleach, counter top cleansers, dishwashing soap. Red flag #4: Smoking. Does your relative smoke or leave burning cigarettes unattended? This can occur when someone has memory loss or becomes confused. If the person has a progressive dementia, unsupervised smoking can become a dangerous problem. Working on ways to decrease or end the smoking habit will become important. It’s not uncommon for people to forget about smoking as their dementia progresses. Nicotine gum or patches sometimes help some people stop craving cigarettes. At some point, locking up matches and lighters will become important. Red flag #5: Leaving the stove on. This can become dangerous when people are regularly burning up tea kettles or pans. However, many of us do this occasionally, so it should be interpreted cautiously. Try purchasing an automatic shut-off electric tea kettle, disabling the stove by removing knobs or turning off circuits, or having an electrician install automatic shut-off timers on stoves and ovens. Many people with dementia can safely handle a simple microwave for a period of time when stoves have become dangerous. Red flag #6: Unsafe room or water temperatures. Because skin becomes thinner with age, older adults often feel colder than we do and try to warm up the house by turning the heat up too high or turning the air off. This can put a person at risk for dehydration, especially if she is not drinking enough liquids. Programming the thermostat – day and night – to a temperature that is comfortable for your relative may prevent her from wanting to adjust the temperature too high. Or consider making the thermostat inaccessible by encasing it in a locked plastic case. Setting the hot water heater to 120 degrees is safer on a person’s fragile skin and can prevent burns. Red flag #7: Falling repeatedly. Falling makes safety when left alone a problem. In the early stages of dementia, the person may be able to use a cell phone or an emergency response system to call for help, but as the disease progresses she may not be able to remember how to use it. Some newer systems have fall detection built in. Make sure that tripping hazards have been removed. Clear pathways of clutter; remove area rugs; increase lighting to help your relative see and negotiate pathways and hallways. Make sure all stairways have good, solid railings. Check your relative’s shoes for stability, comfort and non-slip soles. An occupational therapist or geriatric care manager can help do a home safety evaluation. Red flag #8: Attempting former hobbies. Some hobbies – hunting, woodworking, cooking, sewing, mowing the lawn, for example – may involve appliances or devices that are potentially very dangerous. Closely monitoring the person’s ability to handle equipment safely becomes very important. At the same time, we want the person with dementia to be able to continue to enjoy hobbies as long as possible as this is part of what makes life meaningful. Some families find ways to work on hobbies together for a period of time. Jane began doing woodworking projects with her father since he no longer seemed to be safely able to operate his power equipment. Sometimes it becomes important to remove tools or appliances from the person’s home or to keep them under lock and key. Guns and ammunition should be locked up. When judgment is impaired, they become a real hazard. With supervision, gun enthusiasts may still be able to use them safely for a period of time, but the risks will increase as dementia progresses. It’s hard to strike the right balance between being over-protective and ignoring signs that your relative is at increased risk. And, of course, family members don’t always agree about how much risk is tolerable. It can be helpful for families to talk occasionally together and assess how their relative is doing with each of these potential safety issues. 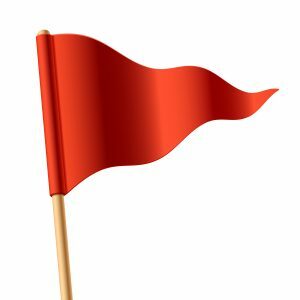 If you see lots of red flags, it may be time to consider relocating your relative with memory loss to residential care. Our book Moving a Relative with Memory Loss: A Family Caregiver’s Guide can walk you through the process.